TDS Software is Software for TDS Returns preparation, generation and e-filing. It helps you in TDS Computation, generates TDS Return Form 24Q, Form 27Q, Form 26Q, Form 27EQ, Form 16, Form 16A and e-filing of TDS returns. The e-TDS Software provides you efficient TDS solution for generation of TDS NSDL Quarterly statements and thereby helps in filing returns on quarterly basis. 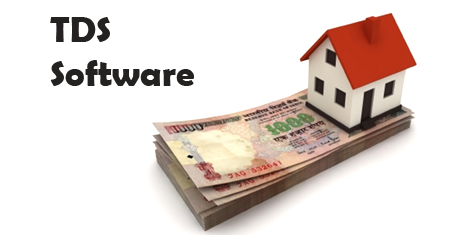 TDS Software is a simple to use software ideally suited for filing TDS returns. Among a host of features it offers, the software can be used for F.Y 2012-13 and the previous years. It also has an inbuilt module for “Correction Returns” which is extremely helpful in correcting the regular returns. * Declaration & Tax Calculations for employees. * This software will reduce the work load of HR, employees of the company and other staff also. * It also facilitates faster access of HR related information. * It manages the entire information of the employees from the time they are recruited till the time they leave the company. * It provides Security of Data and Right Management. * Easy to Install, Implement and Use. * Increase efficiency of Payroll Process. * More accurate Payroll Tax Records. * More Organized Record Keeping..
* Flexibility for Payroll Changes. * Maintain Leave and Attendance Report. * Accurate PF, ESIC, Professional Tax and Income Tax Reports. * Save time and money compared to traditional payroll services. * Payroll software offers a variety of tax services including calculating taxes and deduction as well as state and local taxes. Auto Calculation/Computation for TDS on Contractor, Fees, Rent, Brokerage etc. E-TDS Return at one click with automatic validation. Declaration & Tax Calculations for employees. Please Feel Free to ask Any type of Quotation. "I enjoy working with the team so much. They not only do amazing work, but they have taught me quite a bit about process. I wish you and Websoftex continued success with your business ventures. I feel fortunate that we found your organization. "